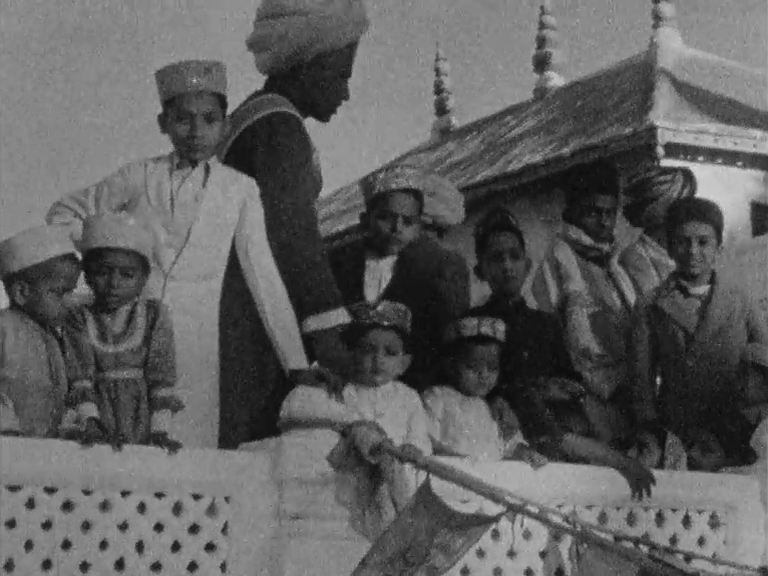 BFI, in partnership with British Council, has released India on Film: 1899-1947, Treasures from the BFI National Archive, an unparalleled collection of extremely rare films of India, (250 Newly digitised Films), which have survived from the earliest days of cinema. This visual record of early twentieth century offers a unique factual account giving new audiences an eye opening insight into the people, places, traditions and most famous landmarks of India. India on Film: 1899-1947 consolidates the BFI’s commitment to preserving and sharing world film heritage, by making these significant collections accessible for audiences globally. 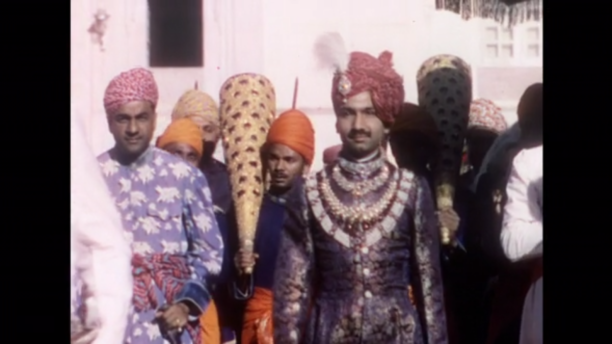 Newly digitised specifically as part of UK/India 2017, a year-long celebration of the long-standing relationship between India and the UK, can be seen both on the BFI Player (for UK viewers) and the BFI YouTube Channel, enabling audiences in India and internationally, an opportunity to access and engage with the online collection online. Highlights includes the earliest known surviving film of India from 1899, Panorama of Calcutta. 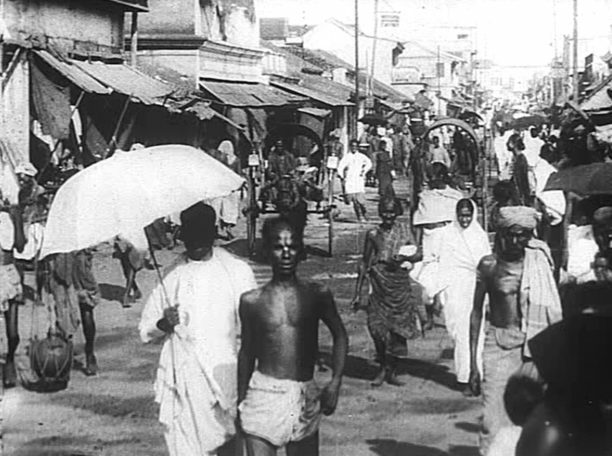 Although the film’s title states that this is Calcutta, the footage in fact shows the ghats at the holy city of Varanasi. The collection is bookended in 1947 by Lahore – Refugees from India, a record of refugees arriving by train in the newly created Pakistan in the immediate aftermath of Partition. 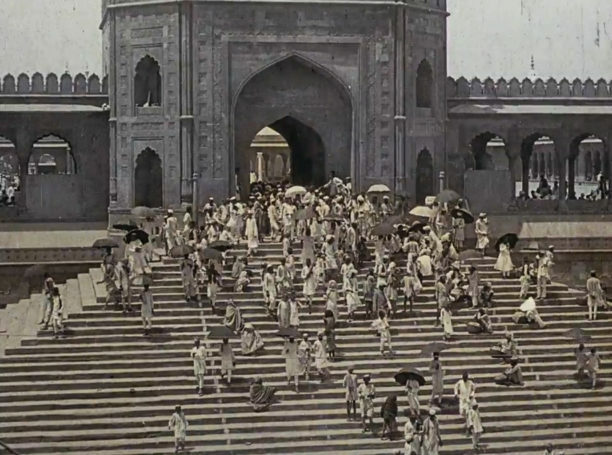 Experience Delhi with rare early stencil colour film of the city in Delhi, Great Capital of India (1909). India’s military contribution to the war effort in WW1 is recorded on newsreel in Gaumont Graphic No. 383 (1914). 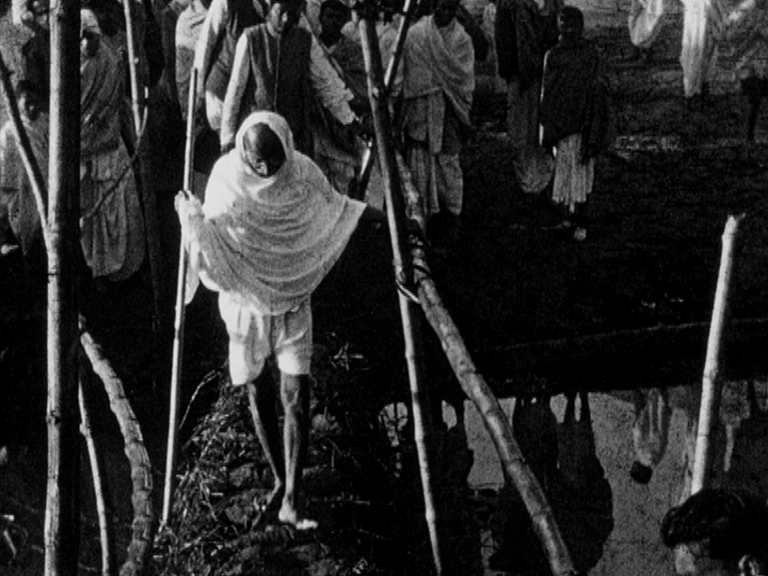 The unique intimacy of amateur home movies forms a major part of this new collection and includes previously unseen footage of Mahatma Gandhi filmed by his great nephew, during the Noakhali march of 1947, Mahatma Gandhi Noakhali March. 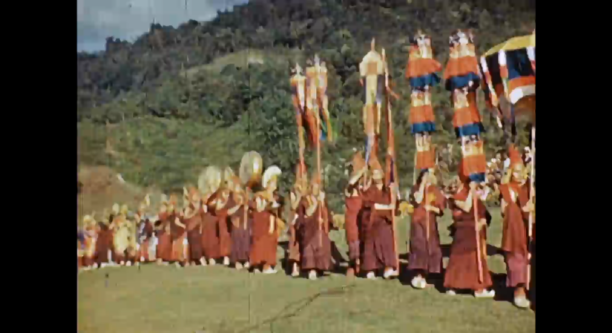 Films have been donated to the BFI National Archive from a variety of sources comprising travelogues, newsreels, educational films, ethnographic documentaries, missionary films and a wealth of home movies, many of which have never been seen before. From everyday scenes of domestic life to celebratory festivals, religious processions, and traditional ritual, these films span Indian society from the ordinary person on the street, rural labourers in the field and the families of the British ruling elite who made India their home, to the very top of Indian society. Encompassing the India’s rich geographic diversity, audiences can explore the collection via region, from its Northernmost reaches to Southern tip, including films from what are now Pakistan and Bangladesh. Studies of rural village life and epic landscapes can be viewed alongside films exploring the bustling vibrancy of cities such as Delhi, Kolkata, Mumbai, Chennai, Mysuru and Hyderabad; offering a rare insight into the development of these major populaces as they were in the early twentieth century. Other treasures that have been recently unearthed include Indian Durbar (1940), a travelogue shot in Alwar, Rajasthan by Oscar-winning cinematographer Jack Cardiff in glorious Technicolor. One of a series of films about India that Cardiff shot in the late 1930s and early 40s, Indian Durbar, has been made available here for the first time. The poetic Tins for India (1941) is an early documentary made by Bimal Roy, one of the greatest filmmakers of the golden age of Indian cinema (Devdas, Parineeta). Unseen for decades, Tins for India reveals Roy’s stamp as a master filmmaker and is an early indicator of the humanistic concerns that would become evident in his later work. 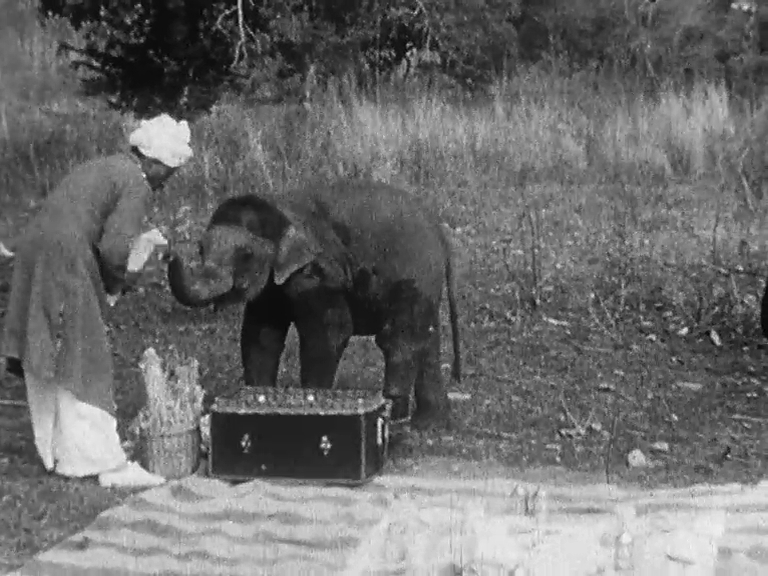 BFI has commissioned filmmaker Sandhya Suri (I for India) to direct Around India with a Movie Camera, a feature-length compilation drawn from this extensive collection of early film material from India held by the BFI National Archive. Woven together to create an emotionally resonant narrative about life across India from over 70 years ago, the resulting film will premiere in India as part of UK/India 2017 and will subsequently tour around the UK and internationally. 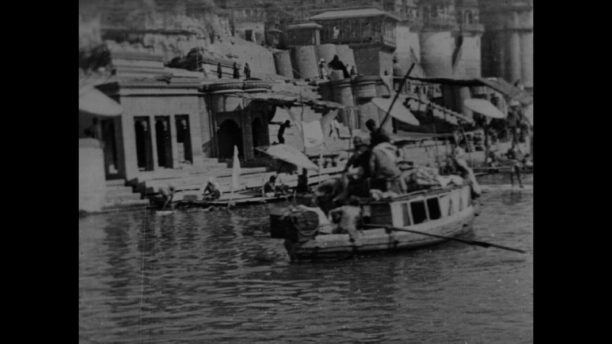 The earliest known surviving film of India in the world, depicting the ghats of Varanasi (not Calcutta) from the waterfront, shot by pioneering British cinematographer John Bennett-Stanford. Panorama of Calcutta will screen in cinemas across the UK from 25 August, going out ahead of new BFI release Hotel Salvation, Shubhashish Bhutiani’s critically acclaimed independent Indian film, set in Varanasi. Filmed from a static camera position this early film of a crowded street scene in an unnamed city is reminiscent of British pioneer filmmakers Mitchell and Kenyon. There is an incredible immediacy of emotional connection as we hold the gaze of ordinary Indians as they look directly into the camera, over 100 years ago. 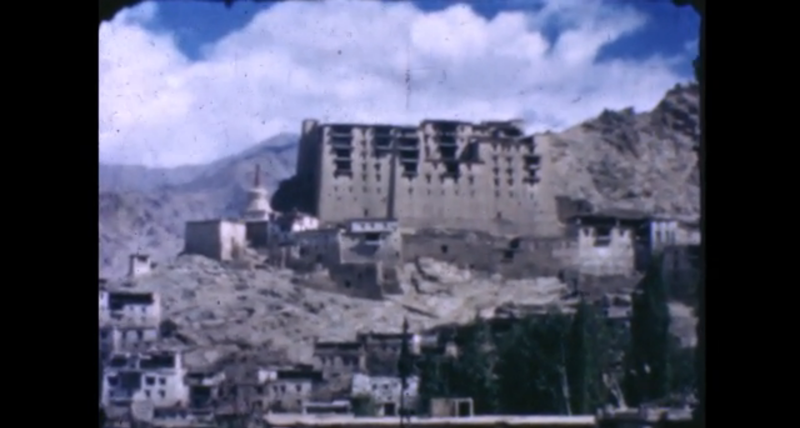 Given the lack of clearly recognisable features it has so far proven impossible to identify the location, but BFI are hopeful that with the help of viewers in India that it may be possible to unlock the mystery. 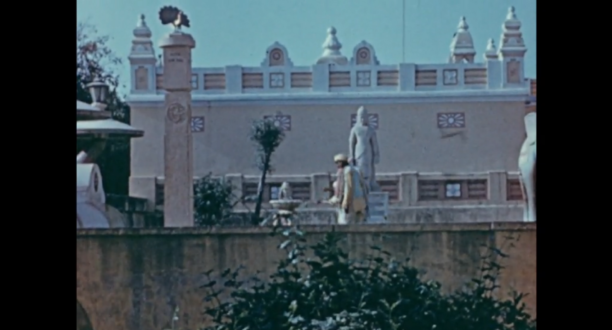 This rare, early colour film of Delhi includes footage of the Jama Masjid Mosque. New digital scans of the original stencil colour materials has restored the film’s original luminous colours, enabling viewers to experience the film as intended by the filmmaker. 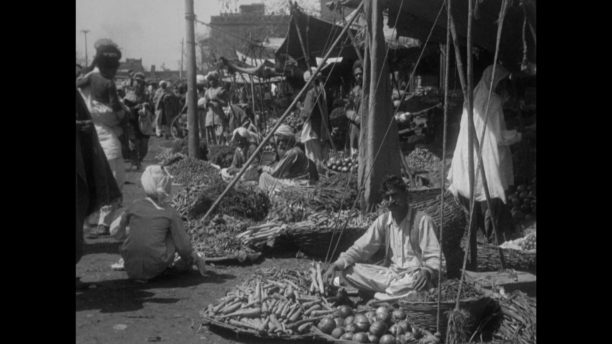 Aimed at British cinemagoers, this entry in the ‘Empire Series’ is an account detailing an average day in the life of a farmer visiting a market in Rawalpindi. The film captures the contrast that the Punjab offers with its agrarian economy and the trade from rural to urban settings. The film also highlights architectural details, culminating in the evening call for prayer at the Juma Mosque as well as showing neighbouring Hindus attending their local temple. 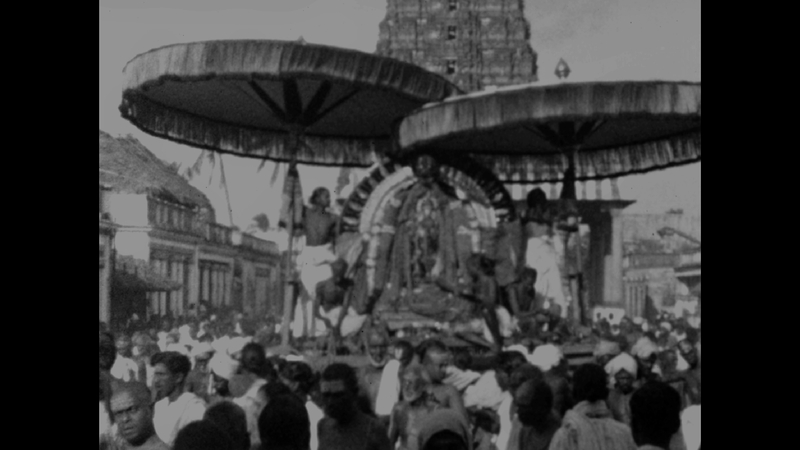 Thronging with people and impressively designed religious floats this 16mm amateur film captures the lively festive mood in the streets of Chennai for the Mylapore temple car festival. An opulent show of incredible Indian wealth on display in this record of a stunningly lavish royal wedding at Kundla, Gujarat, uniting a prince of Kutch, in northern Gujarat, with a princess of Kishangarh, in the neighbouring state of Rajasthan. Shot by amateur filmmaker Colonel V.C. Steer-Webster, an officer in the Royal Engineers, the celebrations last for days with guests from the very top of Indian society enjoying feasts, dancing horses, elephants and spectacular fireworks. Edward James “Jim” Corbett (1875-1955) was a well-known big game Anglo-Indian hunter who wrote about his exploits hunting man-eating tigers and leopards. Later turned conservationist and naturalist, Corbett used his influence to help establish a national reserve for the endangered Bengal tiger in 1936. The Corbett National Park in Uttarakhand, the first national park in India, was renamed after him in 1957. Corbett’s film shows Indian elephants in action, as working animals who were also used in hunting. This is one of several home movies shot by Corbett included in the collection. Sir Basil Gould was a civil servant who spent his career in the Himalayan region, including Afghanistan and Tibet. Here he captures the full-colour beauty of the spring flora and fauna of the Himalayan foothills, detailing local ceremony and the traditional culture of Sikkim. The films shows a sensitive eye for detail and respect for its subject matter, and the relationship between the local people and their land. 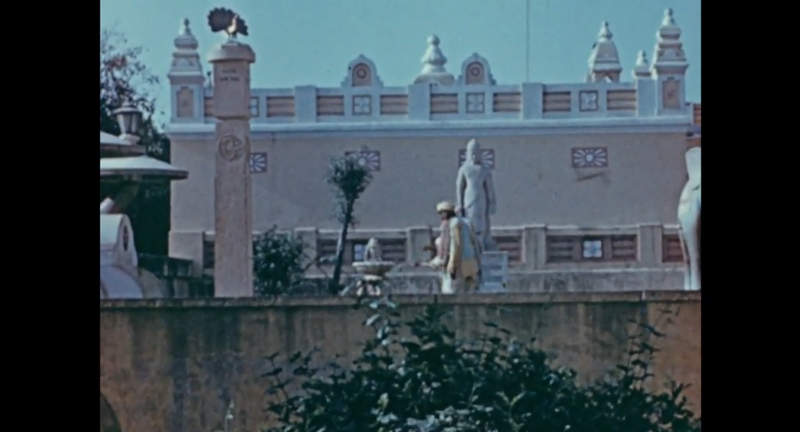 This amateur film shot in vivid colour by Clarmont Skrine, an ‘envoy of The Raj’, features a trip he made with his wife to Bundi, Rajasthan. Hardly changed since the film was shot, the film has stunning footage of the Taragarh Fort, Bundi Palace and women using the extraordinary Raniji ki Baori (Queen’s stepwell). Skrine’s home movies also provide an invaluable ethnographic record of South Indian traditions. This film features a sequence of a Kathakali performance, a traditional dance from Kerala. Just one example of a number of films in the wider collection which showcase performance, including the ritual dance acted out by masked men in Aka and Daffla Dances (1934) plus indigenous music and sacred dance in performed in the shadow of the Himalayas Devil Dancers of Sikkim (1934). The spectacular Durbar held for the Maharaja of Alwar is captured in gorgeous Technicolor by Jack Cardiff, in this beautiful travelogue, part of a series of travels round India which Cardiff shot in the late 1930s. This amateur footage of Leh, the highest city in the Kashmir region, which was the capital of the Himalayan kingdom of Ladakh. Originally a stop for trading caravans, Leh is now known for its Buddhist sites, it’s remarkable palace and nearby monasteries. Bimal Roy finds poetry in a kerosene can in this early documentary short which follows the production of kerosene tins and the different ways in which they were used throughout rural India, once they had fulfilled their destiny as the holder of kerosene. Directed and photographed by the pioneering Indian filmmaker, Tins for India was made over a decade before the major success of Bimal Roy’s films such as Devdas and Parineeta. Shot by Gandhi’s great nephew, Kanu, this home movie gives us rare access to Gandhi and an intimate account of Gandhi’s peace march alongside crowds of villagers and co-workers, in the aftermath of the Noakhali riots in West Bengal in January 1947. 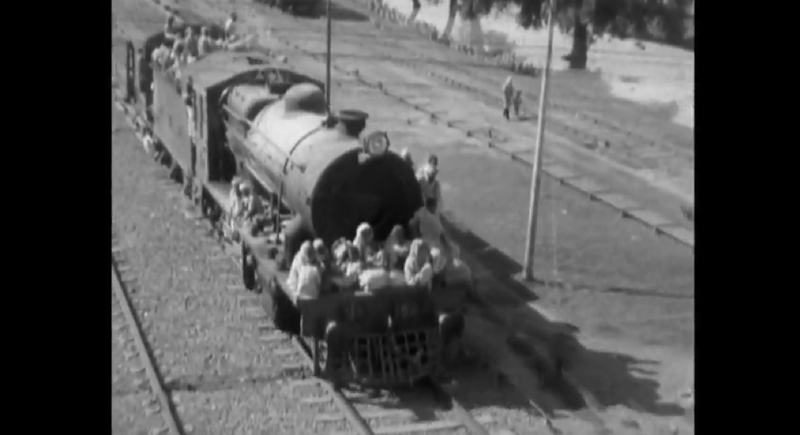 Sir John Laing’s missionary film includes a record of a visit to Ludhiana and Amritsar in the northwestern Indian state of Punjab. At the centre of the walled old town is the gilded Golden Temple (Harmandir Sahib), the holiest gurdwara (religious complex) of the Sikh religion. Sir John Lang was heir to the Lang construction firm. A deeply religious man, he documented his missionary trips to India, providing a valuable visual record of people and places he visited. In the immediate aftermath of Independence and Partition, millions of Muslims fled from their ancestral homelands to Lahore in the newly created state of Pakistan over the summer of 1947. This amateur footage from the collection of T Burtt captures the scenes of this extraordinary exodus, as refugees from across socio-economic backgrounds arrive in Lahore by train. 16 queries in 0.605 seconds.